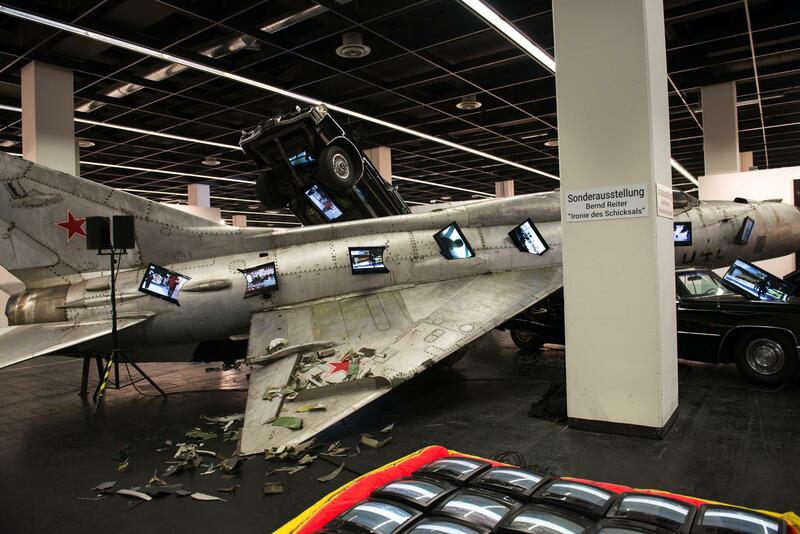 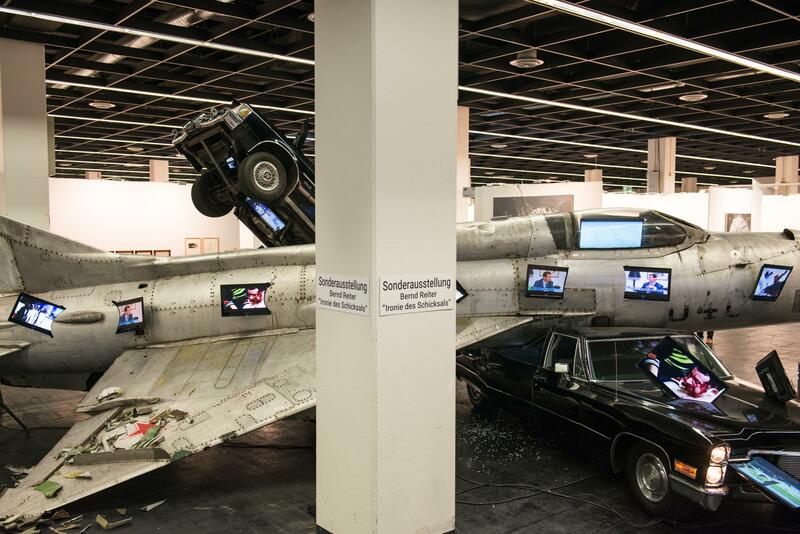 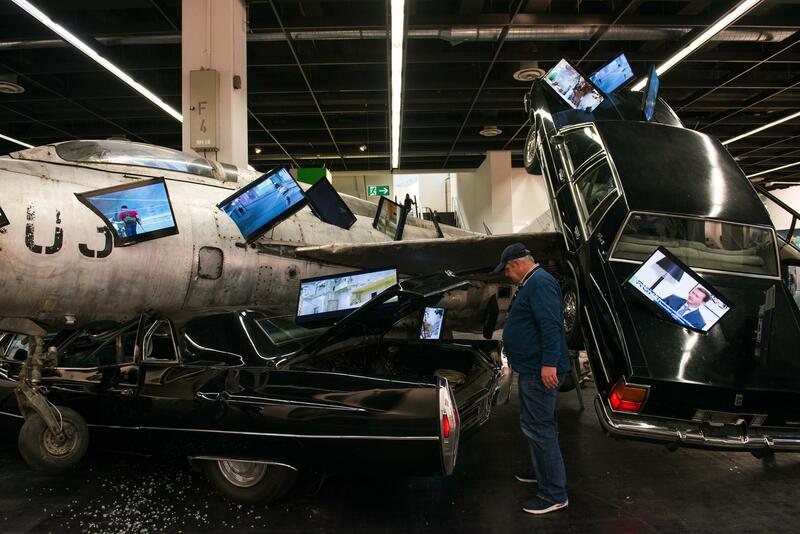 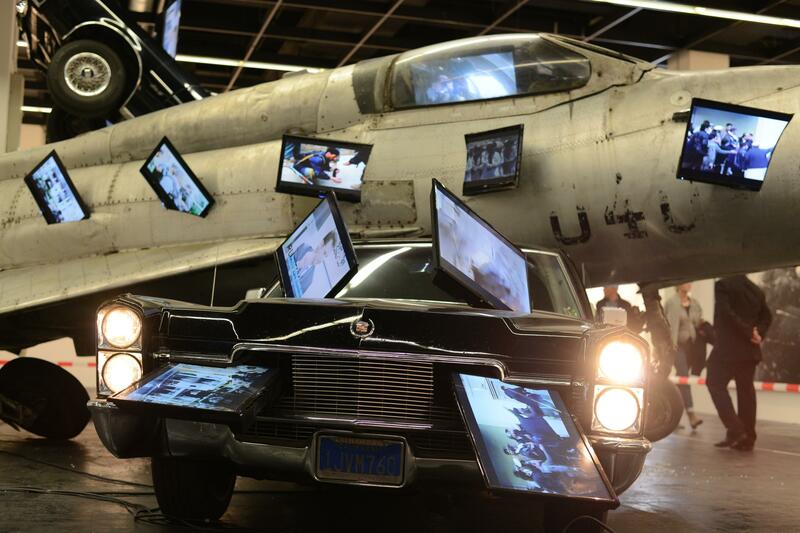 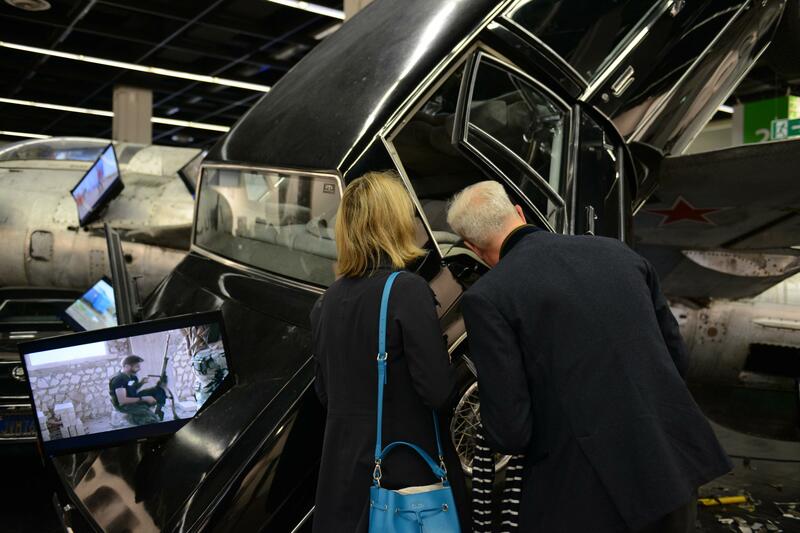 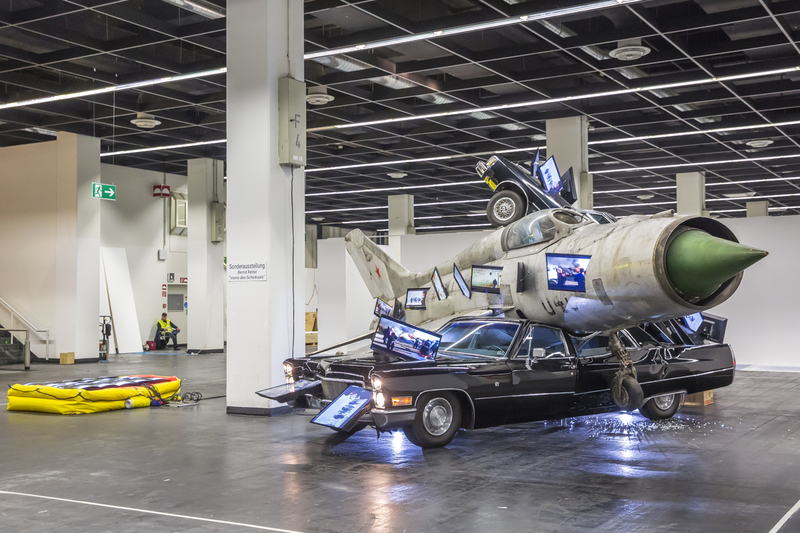 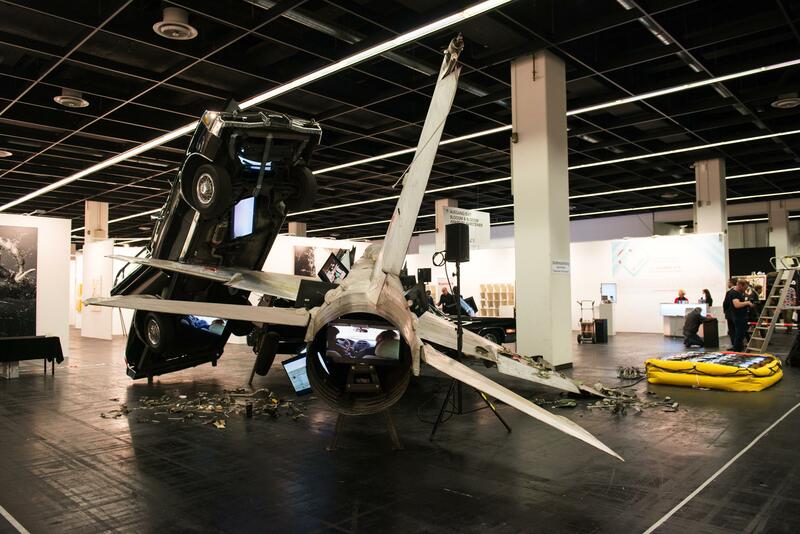 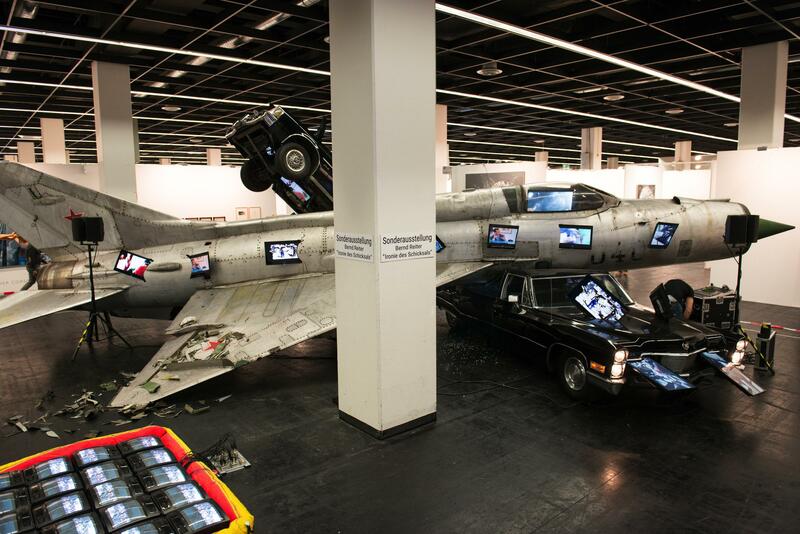 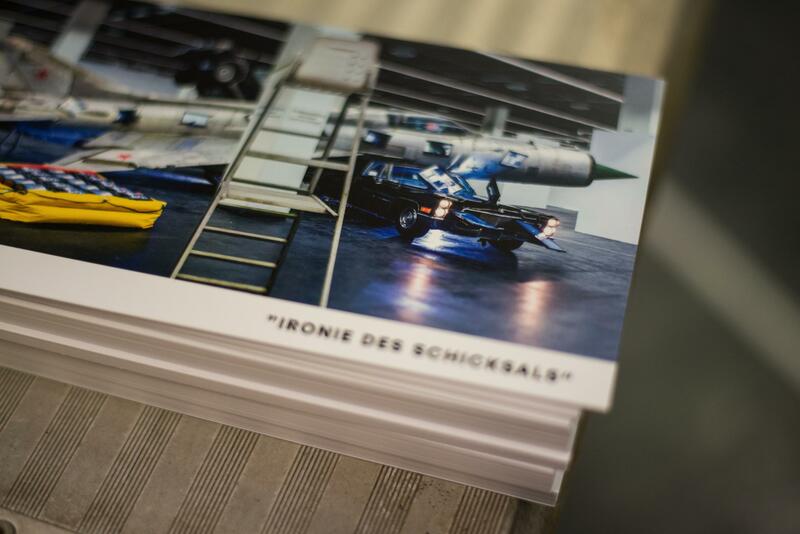 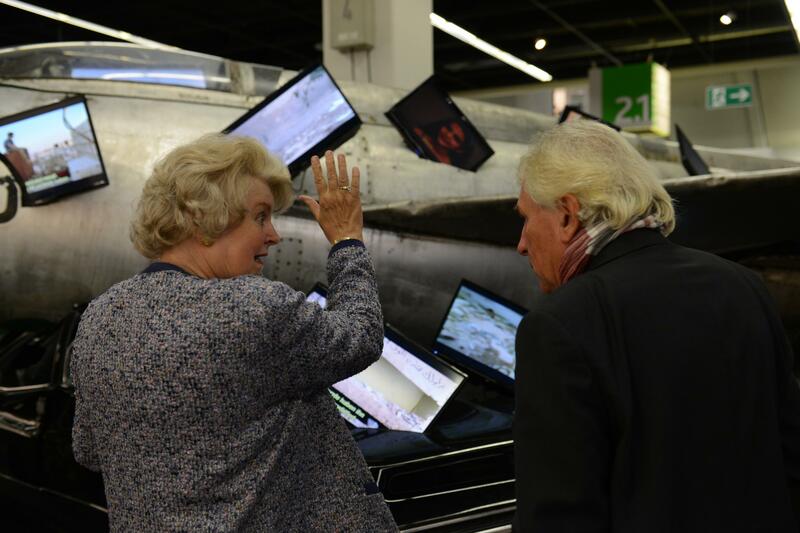 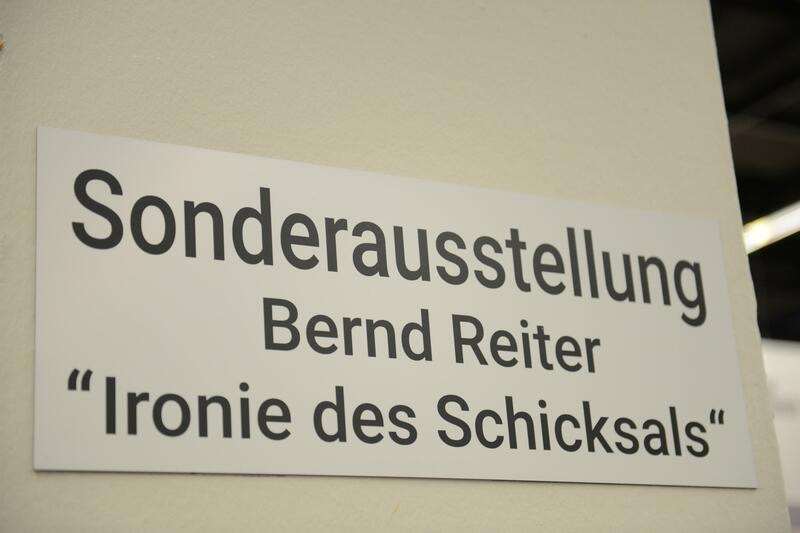 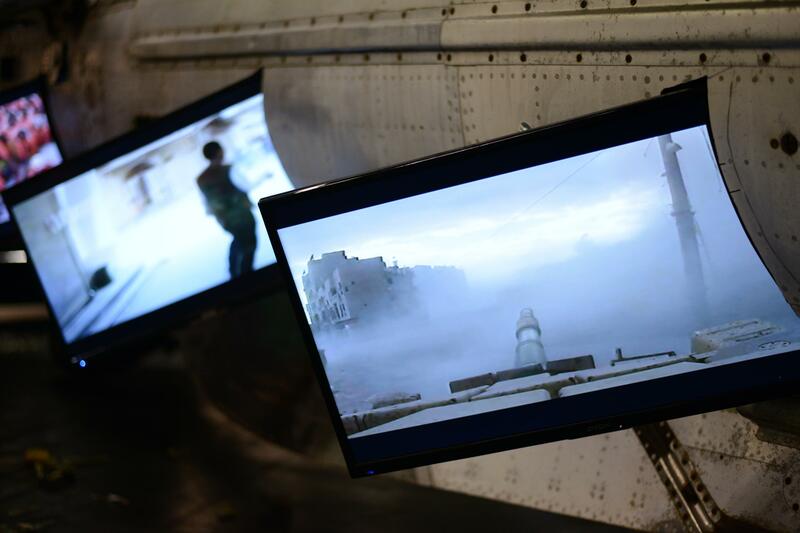 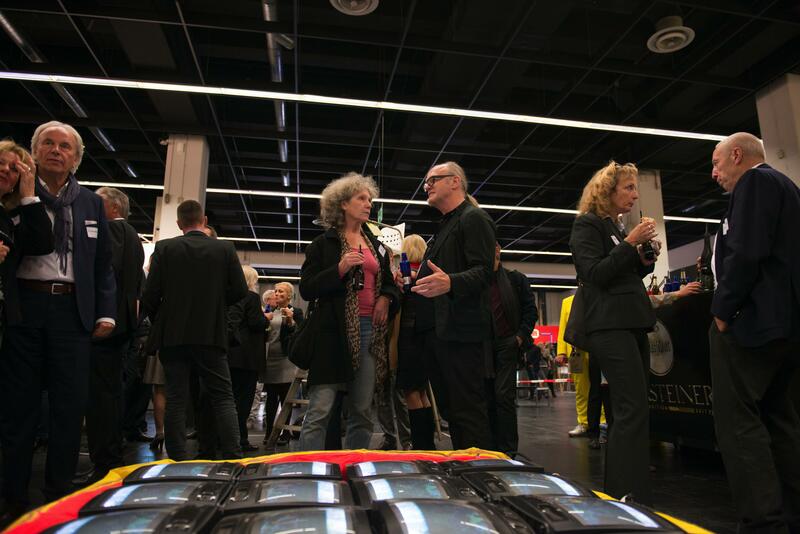 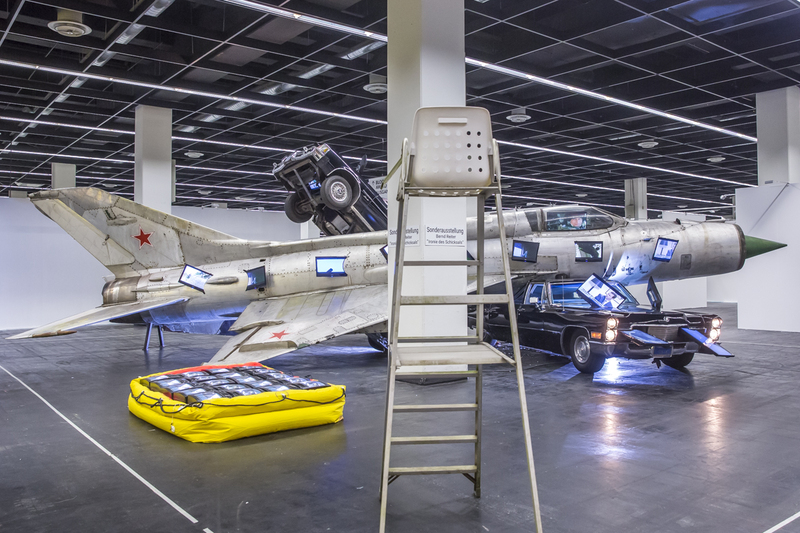 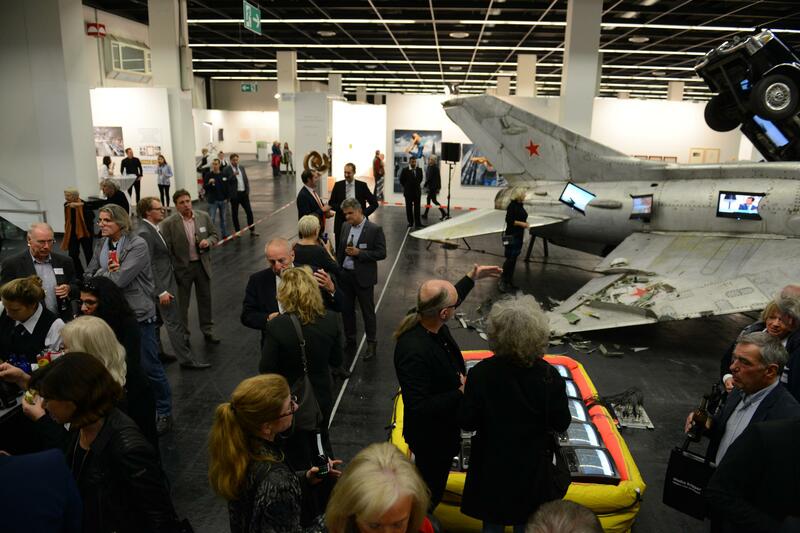 With his enormous multimedia installation entitled Ironie des Schicksals (2016), Cologne artist Bernd Reiter comments on the looming escalation of a new Cold War between the superpowers of Russia and the United States. 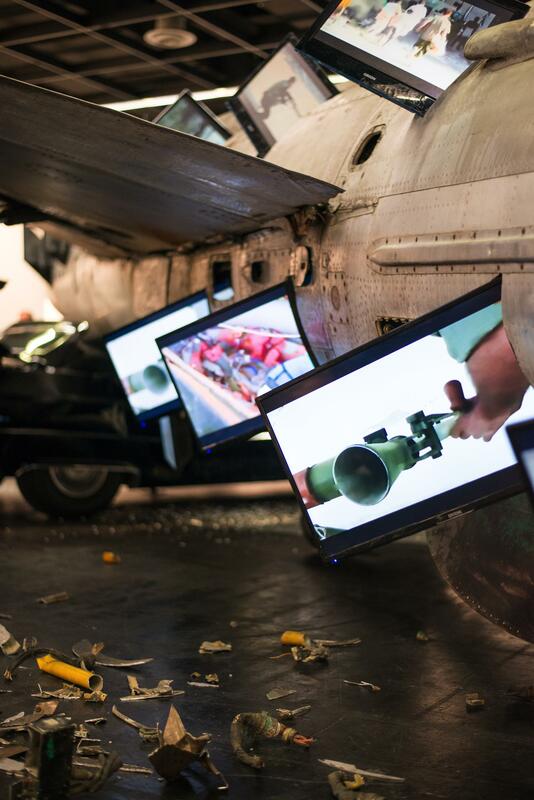 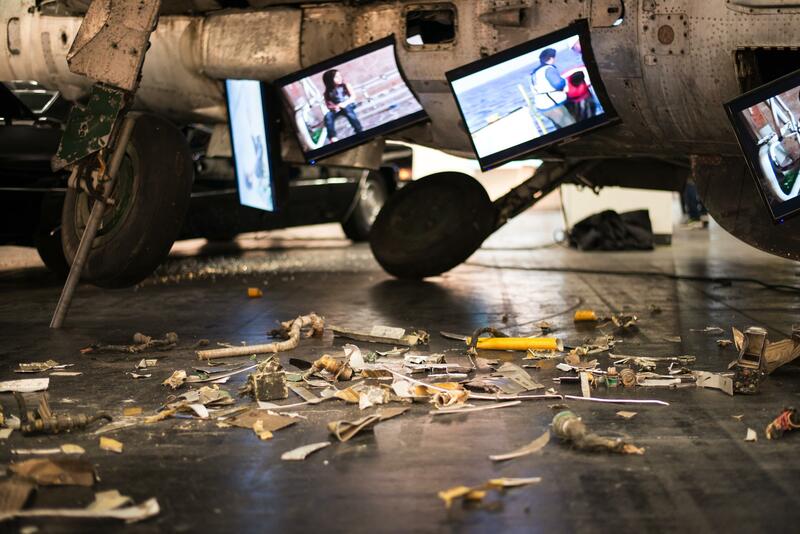 In this work, two systems, two worlds and two ideologies collide. 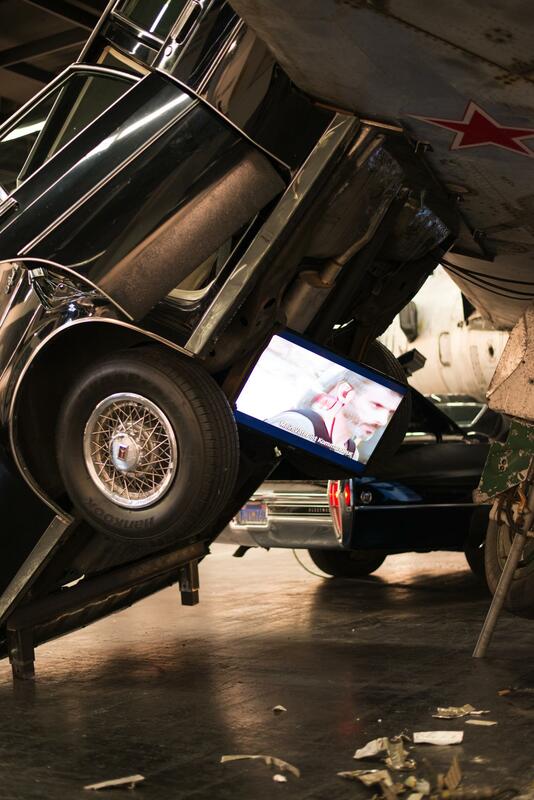 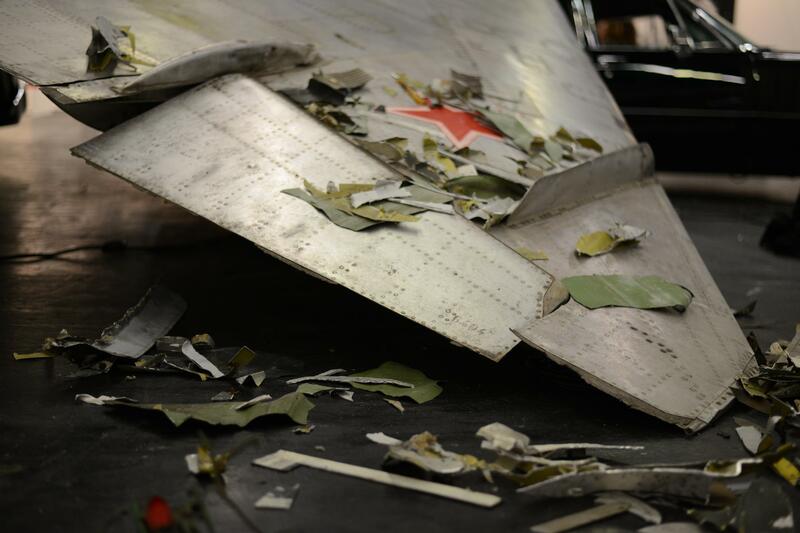 The scrapped yet menacing-looking Russian MiG-21 jet and the two jet-black, vintage American limousines, with their striking tail fins, have literally collided – catapulted into the here and now by a veritable swarm of flickering monitors with videos from regions in crisis today all over the world. 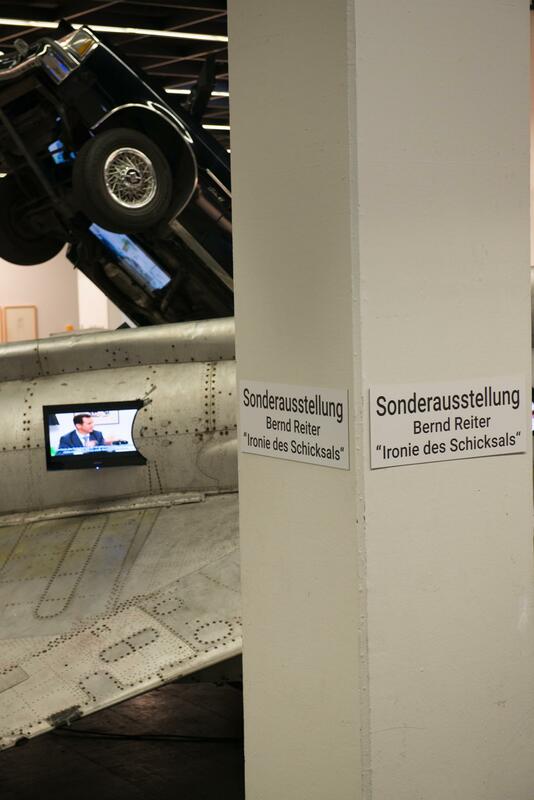 A haunting memorial that not only references past grievances but is also growing more topical, lately in particular.